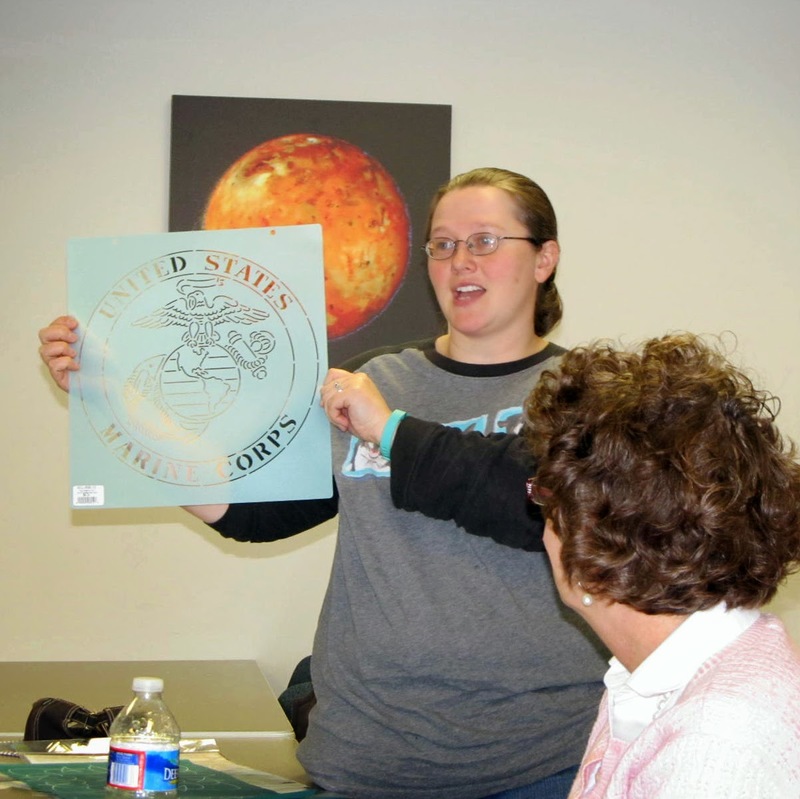 March’s meeting was the PMQG’s Mid-Atlantic Show & Tell. 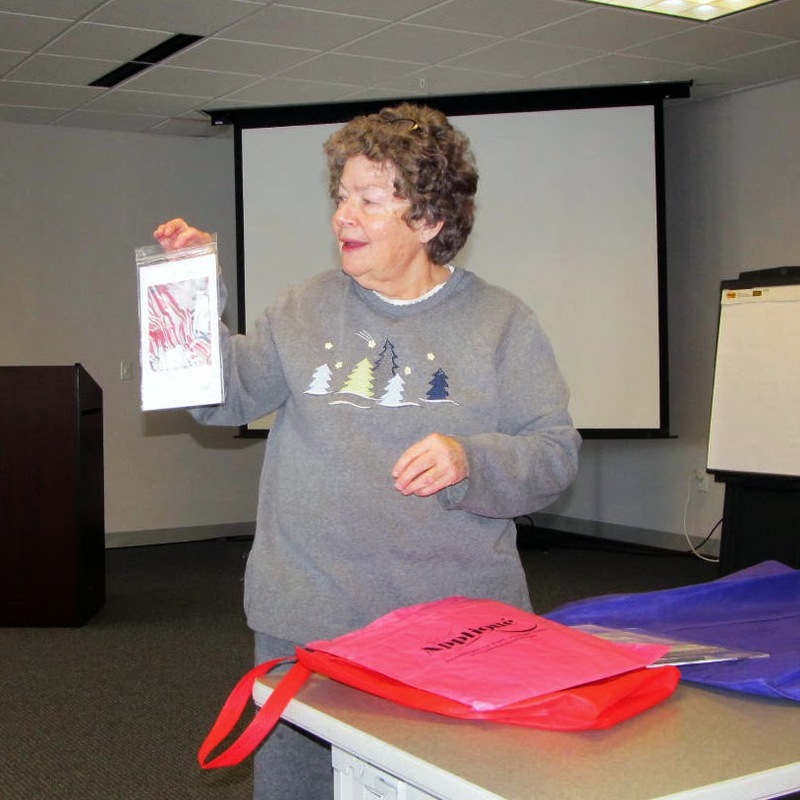 Members shared their class experiences and showed off some of their fun purchases. We can’t wait for next year! 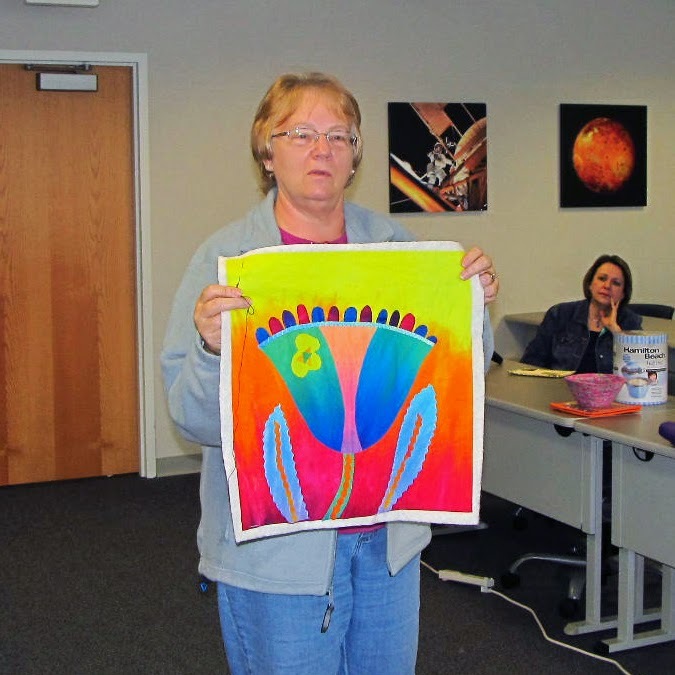 Barb took Laura Wasilowski’s fun Zentangle class. 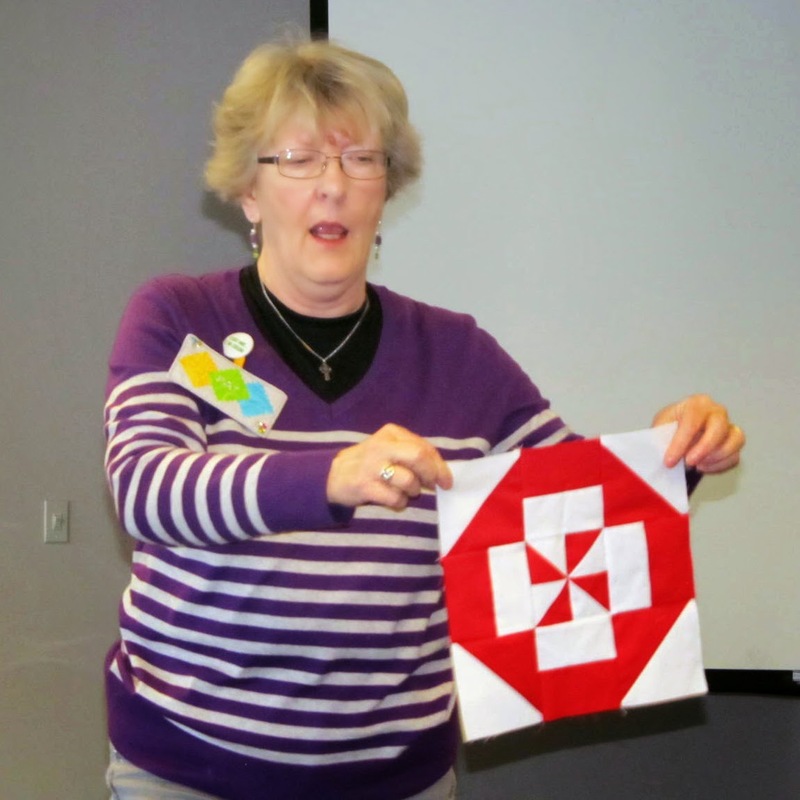 MAQF was Cathy’s VERY FIRST quilt show! Joy took Esterita Austin’s Powerful Portrait class. Lise scored some wonderful vintage fabrics! Katie stocked up on stencils! Members also swapped some of the cutest Mug Rugs ever…. 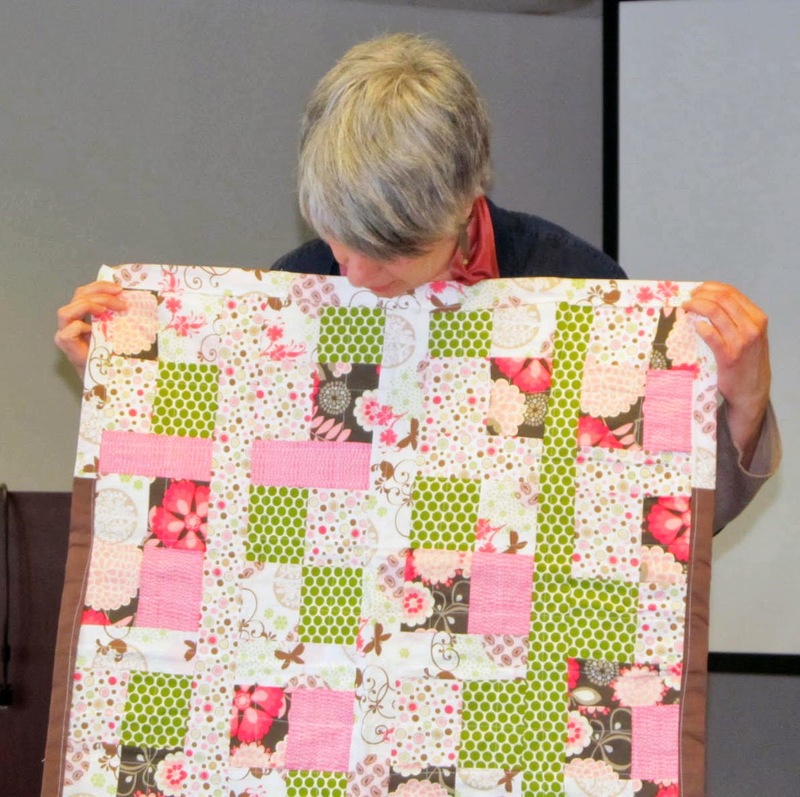 ~ Malinda was surprised with a parting gift of bright Economy Blocks made by guild Members. 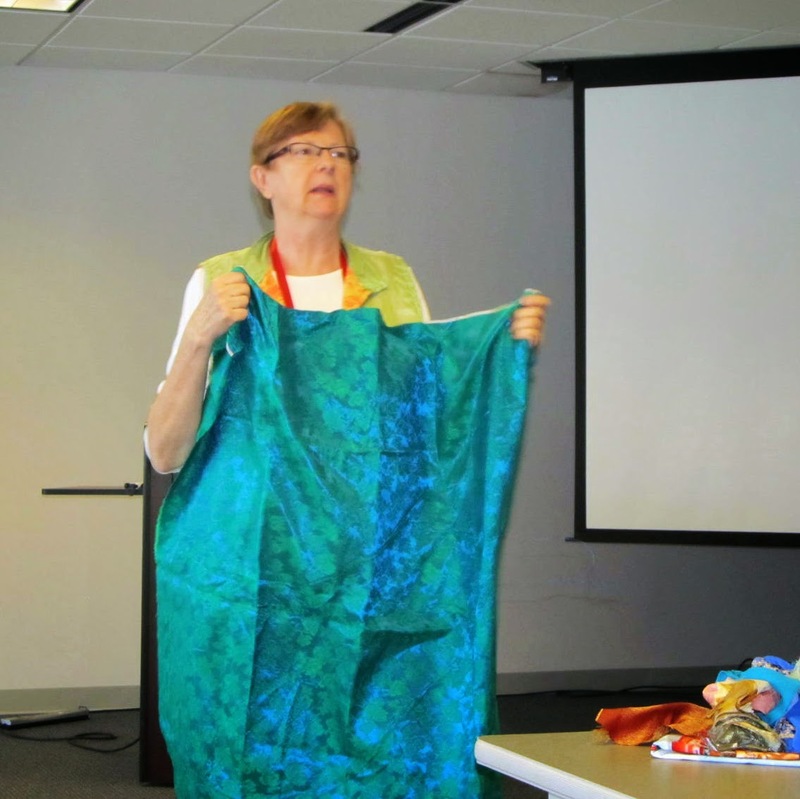 ~ Our Raffle Quilt was a huge success at the Mid-Atlantic Quilt Fest! Many thanks to all of you for volunteering to get our first fundraiser off to a fabulous start! 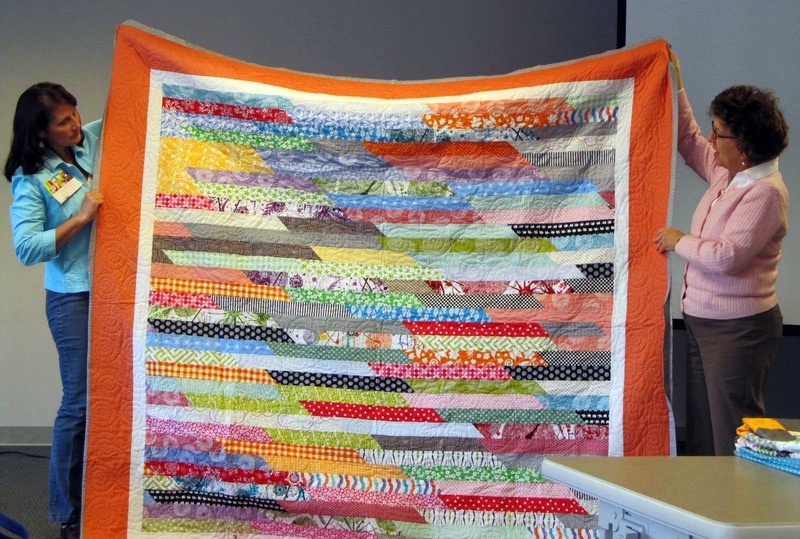 Malinda shared her colorful jelly roll quilt and her tip for making it modern. 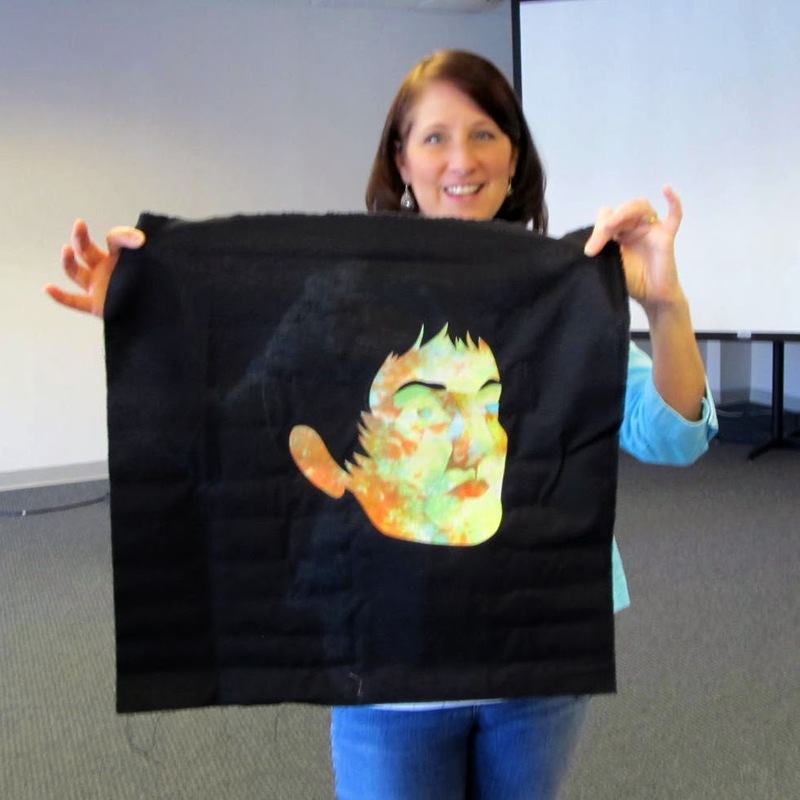 Jenny shared her cheery house wall-hanging. 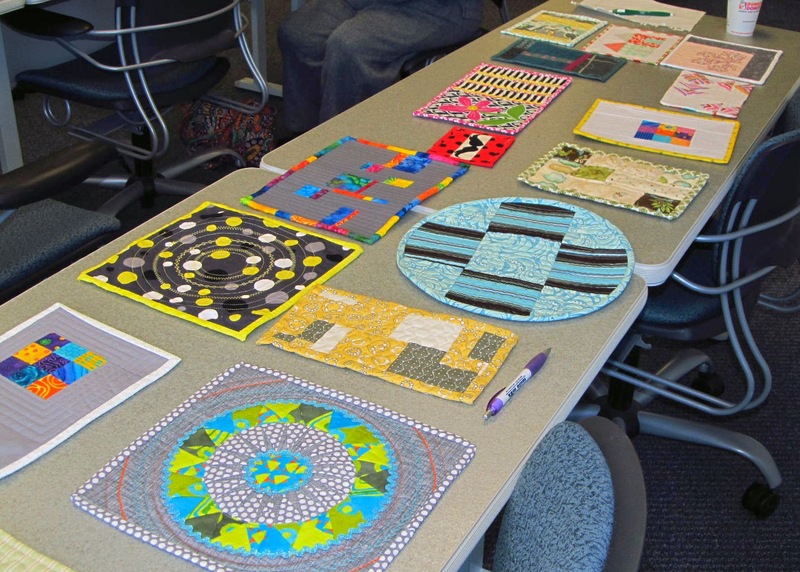 Angelia’s young students made these modern NICU quilts! 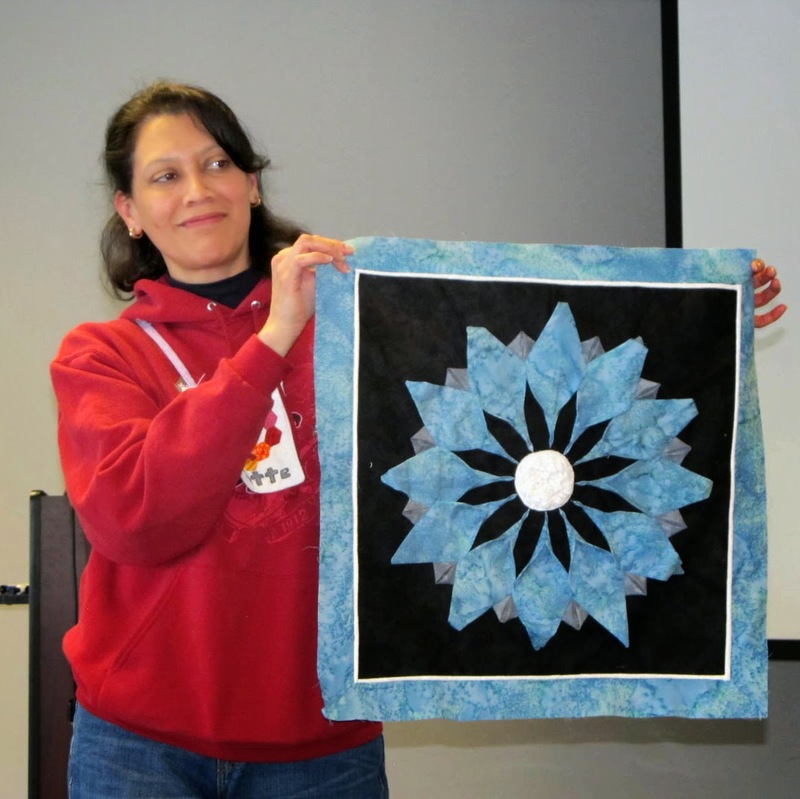 ~ Raffle tickets and a photo of the Raffle Quilt will be distributed to each member at April’s meeting. Members are encouraged to sell all their tickets. Start thinking of who you know! 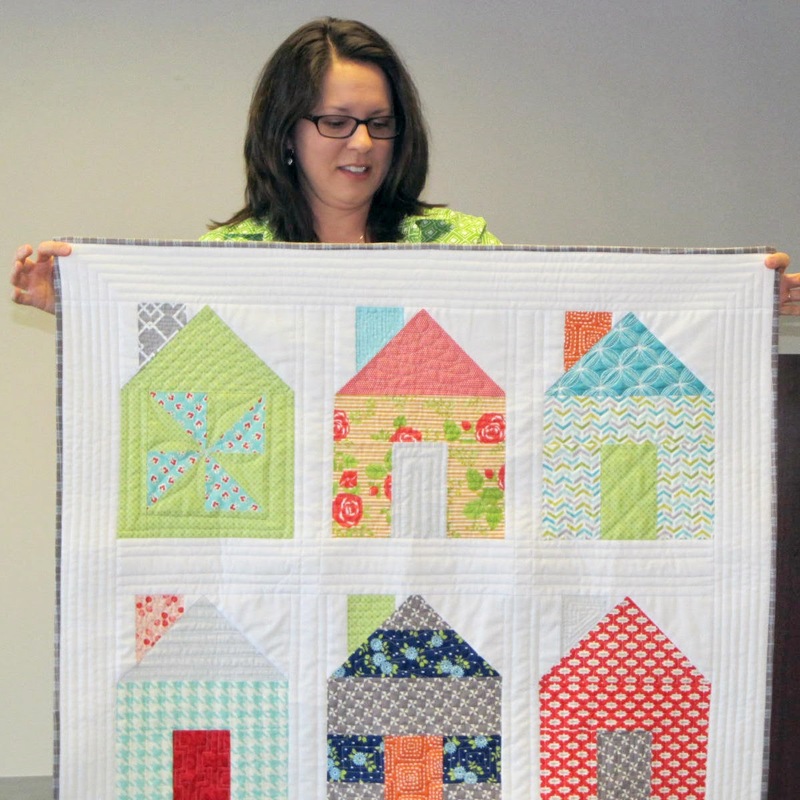 ~ April’s Block of the Month is the Economy Block. ~ Malinda will present a new Guild Challenge. ~ Tricia will announce May’s Swap. 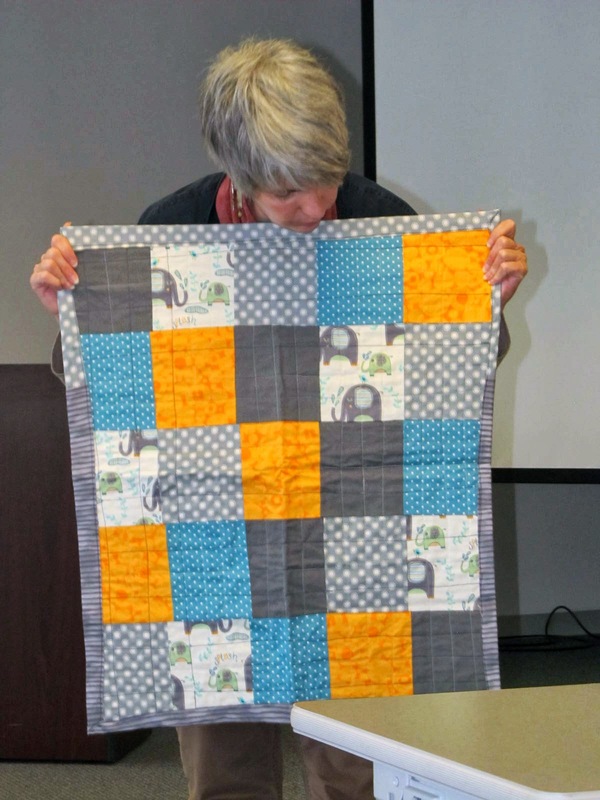 ~ NICU quilts are being accepted at each month’s meeting. ~ Meeting Minutes can be found on our Facebook Page. Members not on Facebook can request the minutes via email.